Working alongside MSFC we identified the many selling points of the college and how to convey those to students. Digital media offers one of the best ways to reach many prospective students in this age group. The site also offers a great visitor experience for existing students. There is a wealth of information on courses, facilities, activities and useful guidance available. The visitor experience has been dramatically improved with new features and an easy to use layout. 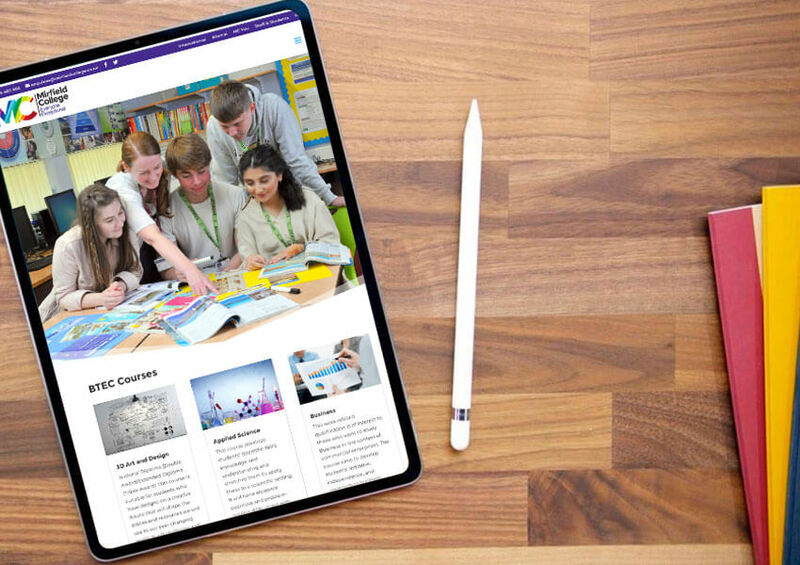 The Mirfield Sixth Form College website is fully compliant with Ofsted and DfE guidelines and has the the built in capability for the site to be expanded as the need arises. The new Mirfield Sixth Form College website welcomes more visitors. 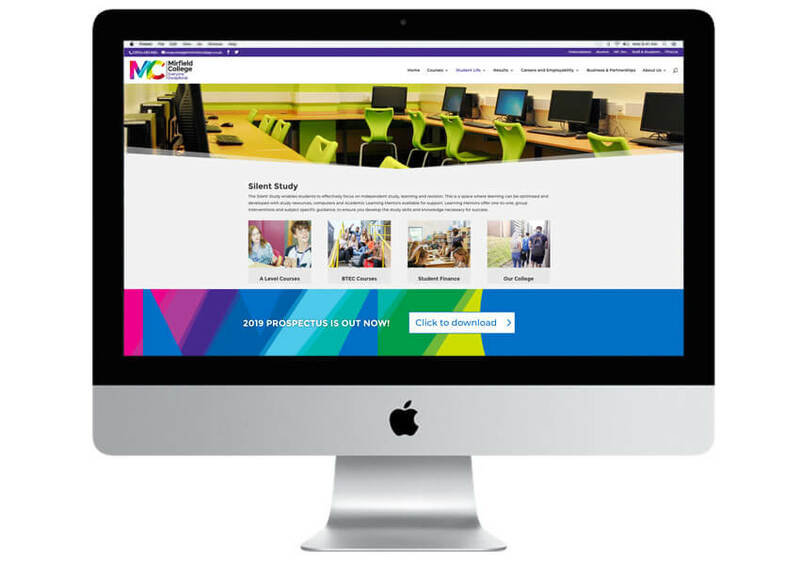 The finished result was a fully responsive sixth form college website viewable on all platforms. Fully compliant with Ofsted and DfE guidelines that can be updated in-house. The visitor experience has been dramatically improved with the scope to expand the site as the need arises. Our ongoing support and maintenance ensure security is guaranteed and hosting on Amazon servers provide 99.9% uptime. 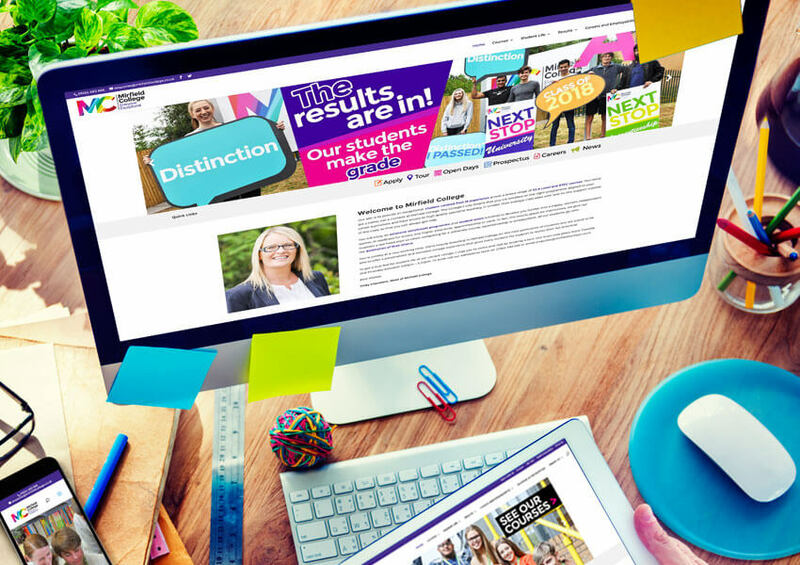 If you are looking for a responsive Ofsted compliant sixth form college website take a look at our school websites page.